Events are scheduled for Mumbai on Tuesday, February 20 and Delhi on Thursday, February 22. The Indo-Canadian Business Chamber is pleased to announce in view of Right Honourable Justin Trudeau, Prime Minister of Canada’s visit to India next month, ICBC in partnership with the Canada-India Business Council will be hosting two business sessions in Mumbai & New Delhi on 20th February and 22nd February respectively. Tuesday, 8th August, 2017, 10:00 AM to 04:00 PM at the Crowne Plaza, Electronic City Bangalore. Discontinuous change is disrupting the status quo on a daily basis. What judo moves will help you and your organization use massive change to your advantage? Indo-Canadian Business Chamber organized a Breakfast Session on Monday, 3rd July 2017 at the Trident Oberoi, Mumbai. 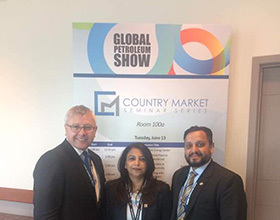 Nadira Hamid, CEO, ICBC addressed at the Global Petroleum Show in Calgary, Canada. Indo-Canadian Business Chamber organized a Business Symposium titled “India-Canada Economic Relations: A Turning Point”. The event was held on Monday, 3rd July 2017, at the Rooftop Room, Trident Oberoi, Mumbai. Thank you so much for your interest in participating at the event! We are glad to see an overwhelming response from our guests. Since the seats are full, the registration for the event is closed now. We regret for the inconvenience it has caused you, if any! The Indo-Canadian Business Chamber in partnership with The Indo-Canadian Chamber of Commerce (www.iccconline.org) will be taking a business delegation to Canada from June 8th – 10th, 2017. 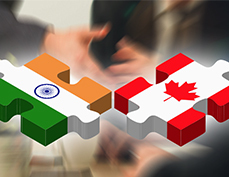 The High Commission of Canada in India, in partnership with ICBC, is organizing a Knowledge Session on how Indian companies can invest in Canada and grow their business in the North American market. “Maple Get-together” a networking get-together on 12th May, 2016 at Windmills Craftswork, Whitefield, Bangalore. 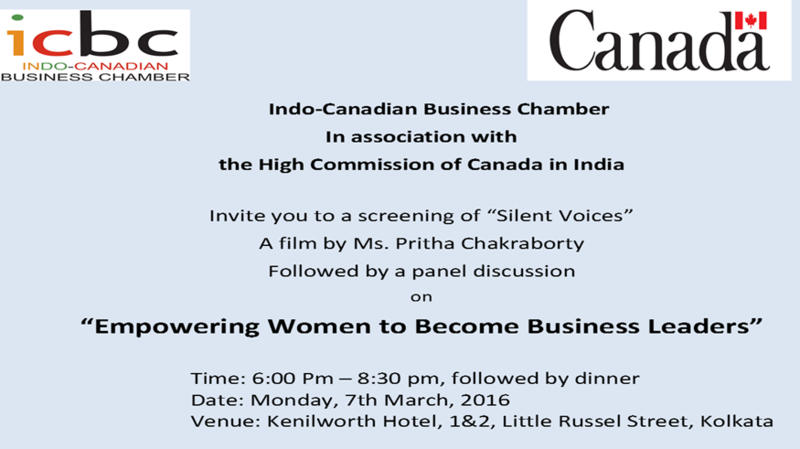 Greetings from the Indo-Canadian Business Chamber! It is with great pleasure we invite you to a session on ‘India’s Union Budget 2016 – Business Impact’ in association with Deloitte Touche Tohmatsu India LLP. The session will be presented by Mr. Sujit Parakh – Partner (Direct Tax) Mr. Muralidharan RamaratnamPartner (Indirect Tax). Please arrive at Gate no. 3 (Nayay Marg) for security clearance. We would be grateful for a confirmation of your attendance, prior to 2nd March, 2016 by replying to this email or by calling 91 7042407996. 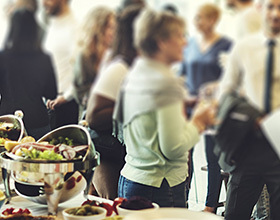 We look forward to your meeting you at the session! The Indo-Canadian Business Chamber, Bangalore regional council in association with the World Trade Center and ASA Associates LLP, Chartered Accountants organized a knowledge session for their members and guests to present an analysis of key proposals introduced in the Union Budget 2016. Mr. Sunil Arora and Mr. P. Nitish, both partners at ASA, were the main presenters. Their presentation touched upon key changes on direct and indirect taxes. 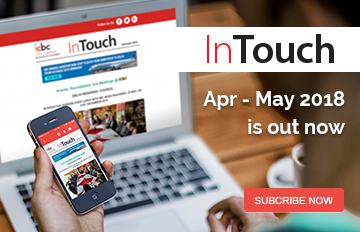 Amongst other proposals, Mr. Arora emphasized on the significant tax incentives offered to start-ups, added tax liability on dividend earnings, additional compliance requirements on Transfer Pricing, and reduction in tax rates to 25% for specified corporate and the new equalization levy on foreign digital advertisers. On indirect taxes, Mr. Nitish highlighted the increase in effective rate of service tax liability, levy of service tax on legal services, amongst others, and the proposed change in CENVAT credit rules. He also provided an overview of proposed GST legislation. The evening witnessed attendance of over 40 senior professionals from plethora of industry sectors in and around Bangalore. 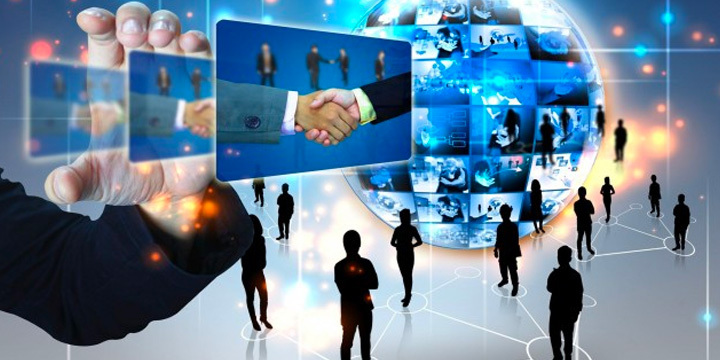 ICBC invites members and guests to the joint business reception hosted by Deloitte, Indian Chambers of Commerce and Indo Canadian Business Chamber for the delegates from The City of Markham, Ontario, Canada on Monday, 8th February, 2016 at Bengal Club. 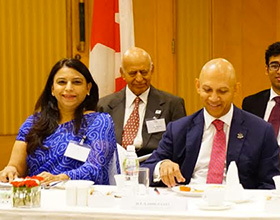 City of Markham and the City of Kolkata are linked through the cultural and business connections that have been developed by the Hakka Chinese community in respective cities. Born in Kolkata, Markham Regional Councilor Joe Li is an example of the many successful members of the Hakka community with strong ties in both cities. Mayor Frank Scarpitti is leading his third official business delegation to India since 2012. 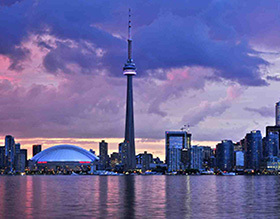 Markham’s 2016 business mission will include their first visit to Kolkata. The City of Markham is visiting Kolkata to leverage existing business and community relationships, explore new business opportunities, and encourage investment and trade between respective jurisdictions with focus on Information and Communications Technology, Healthcare/Life Sciences, Financial Services, Professional, Scientific, and Technical Services. 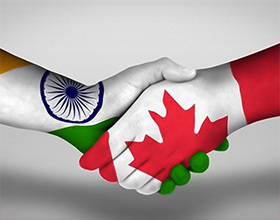 We are pleased to share with you that the Canada India Foundation (CIF) is organizing a Canada India Healthcare Summit 2015, in Toronto, in partnership with Ontario and ICBC. The delegation will arrange visits to other cities of Canada to capitalize on the opportunities offered through bi-lateral trade relations in the healthcare sector. Annual General Meeting of the Gujarat Regional Council and Canada Day Celebration on 1st July, 2014. Second Week Connect to our “In conversation with…” series with Mr. Preetam Daniel, Director of Sales – India & South Ease Asia, IMAX. 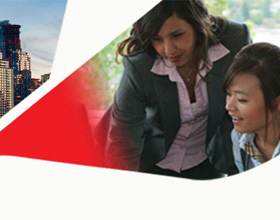 “Doing business with Quebec, Canada” session followed by a networking dinner. 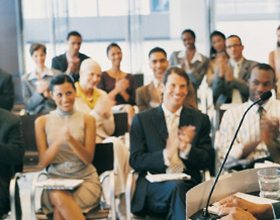 – 6 March 2013 at 5 PM – Water technologies from Canada Presentation to 100+ members of Ankleshwar Industries Association ( AIA ). We are very pleased to invite you for a networking reception hosted on the occasion of the release of the ICBC brochure by The Honorable Ed Fast, Minister of International Trade and Minister for the Asia-Pacific Gateway. We also look forward to some of the dignitaries in the accompanying delegation to join us for the event. Third Thursday on 18th October and DRC Board meeting scheduled to held on 23rd October (Tuesday) 10:30 am to 12 pm. MOU signing & industry interaction at Pandit DeenDayal Upadhyay Petroleum University (PDPU) with Dr. Indira Samarasekera, President & Vice Chancellor of University of Alberta, Canada. MOU signing for setting up of Indo Canadian Study Centre (ICSC) at Gujarat Technological University (GTU) with Dr. Indira Samarasekera, President & Vice Chancellor of University of Alberta, Canada. ICBC Mumbai breakfast meeting with Canadian Parliamentary delegation. Venue: at Ricks, Hotel Taj Mahal, Mansingh, New Delhi. DRC had its first “Third Thursday at the Taj” on, 19th January 2012, from 6.30 pm to 8:00 pm, at Ricks, Hotel Taj Mahal, Mansingh Road, New Delhi! This launch was attended by H.E. Stewart Beck, High Commissioner, Ms. Sara Wilshaw, Minister (Commercial) and India Trade Program Manager, and Mr. Simon Cridland, Head, Advocacy Programme from the Canadian High Commission. Indo-Canadian Business Chamber (ICBC) in association with Indo-Canada Chamber of Commerce (ICCC) and Confederation of Indian Industry (CII) organized a Session on “India – Canada Partnership: The Way Forward” on 6th January 2012, 1100 hrs at Hotel The Lalit, Barakhamba Avenue, New Delhi. Mr. Virbhadra Singh, Minister for Micro, Small and Medium Enterprises, H.E. Stewart Beck, High Commissioner, Canadian High Commission, Mr. Frank Scarpitti, Mayor of Markham, Ontario, Mr. Jawed Ashraf, Joint Secretary, Ministry of External Affairs, Government of India, Mr. Anup Wadhawan, Joint Secretary, Ministry of Commerce and Industry and Chief Negotiator, CEPA on Canada addressed the participants. More than 100 people participated. 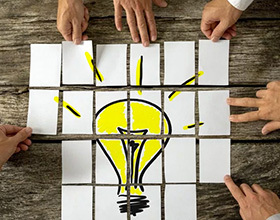 We at ICBC are constantly in search of evolving new value added benefits for our members. As a part of this endeavor, we have established a special alliance between the Indian Hotels Company Limited (Taj Hotels) and the Indo Canadian Business Chamber. Taj Hotels has offered a host of benefits for our members including issuing of the Taj InnerCircle Gold cards.